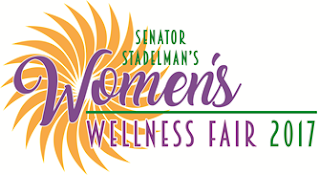 Women can obtain referrals for free mammograms and screenings for cervical cancer, free vaccinations for influenza, pneumonia and shingles, blood pressure readings, Body Mass Index (BMI) calculations and more at a Women's Wellness Fair organized by State Senator Steve Stadelman. Other services available at no charge include blood-glucose, cholesterol and HIV testing, depression and anxiety screenings, massage demonstrations and skincare consultations. Medicare enrollment advisers and weight-loss support groups also will be on hand. Harp and flute duo Emerald Wind will perform; Rockford Roasting Company, E-Z Dinners and Dragon Popcorn will provide refreshments. Admission and parking are free for the event from 1-4 p.m. Sunday, November 12, in Kresge Hall at Riverfront Museum Park, 711 N. Main St. in Rockford. 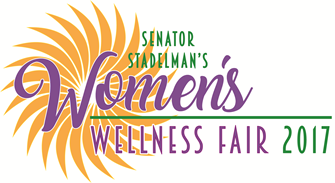 "Health care, especially for women, remains a central public policy concern," said Stadelman, who began the annual event in 2015. "I believe very strongly that a woman's ability to pay should never stand in the way of her receiving basic health care -- especially preventive care." October is National Breast Cancer Awareness Month, and State Senator Steve Stadelman has been working to reduce breast cancer in Illinois by supporting legislation that removes barriers to early detection and advanced medical care. Stadelman supported a measure this year to require insurance companies to cover an MRI if a patient is diagnosed with dense breast tissue. Studies show that dense breast tissue can be up to six times more likely to develop cancer. An MRI can find an additional 8 percent of breast cancers that go undetected by mammograms and ultrasounds. The measure became law and will go into effect Jan. 1, 2018. Stadelman also support legislation that since mid-2016 has required insurance companies to cover 3D mammograms. The technology, also known as tomosynthesis, takes a multidimensional view of the breast during a screening, rather than a single-dimension view. As a result, 3D mammography more accurately screens for breast cancer than standard mammography. Nationally, one in every eight women will be diagnosed with breast cancer. It's the second leading cause of cancer death in women. According to a study by the Illinois Department of Public Health, 26 women are diagnosed with breast cancer in Illinois every day.